This Saturday Hulme community garden centre held a purple garden party as part of our Prince solar fundraiser. The (purple) rain poured, but loads of people came anyway to celebrate all things naturally purple. They baked purple pizzas in their own cob oven with beetroot and purple flowers from the garden. All the pizzas were vegan - satisfied eaters said it was the best cheese they’d ever tasted! In Prince’s honour they called the pizzas Half a Cherry Moon. 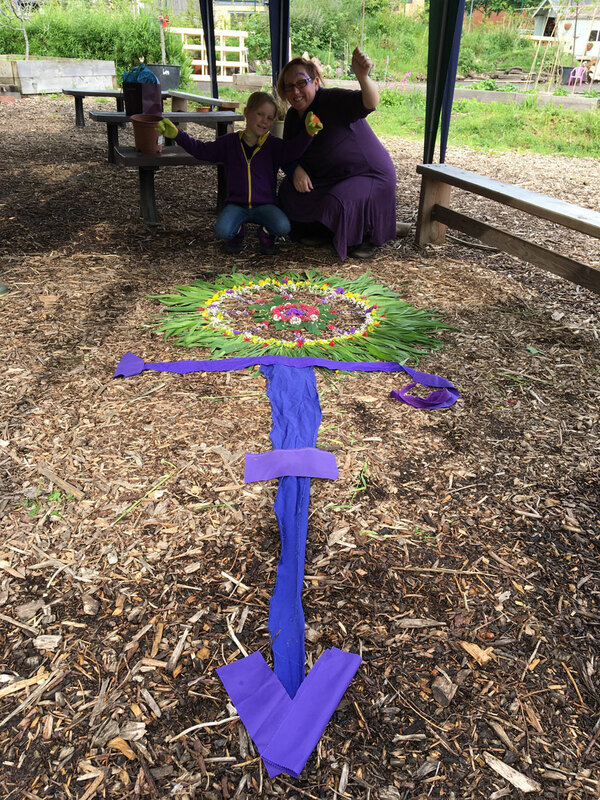 When the rain cleared, they headed outside and created a giant version of Prince’s iconic Love Symbol using leaves and other bits from the garden. The garden party ran at the same time as Brighton’s 24 hour table tennis marathon. 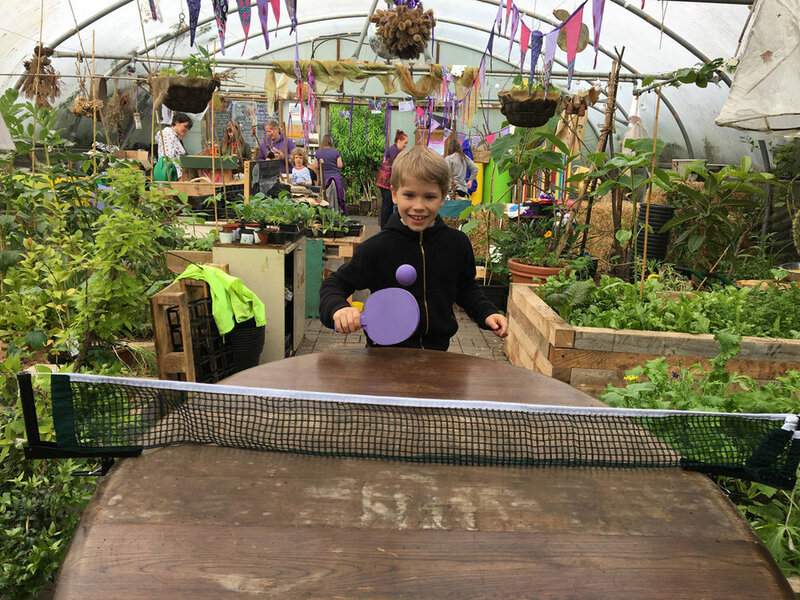 The gang at Hulme showed their support by putting an upcycled ping pong table in one of their polytunnels and having a go at some purple ping pong. One of the people who joined the fun had never been to the garden before, but when he saw there was a Prince party happening, he had to come. We’re fundraising for solar for six community groups fighting for a better world - including Hulme community garden centre. They already have pretty good green credentials - they reuse water, don’t use pesticides and buy green electricity. You can support Hulme garden centre - and the other groups going solar - by making a donation today. Older Post100 people kept purple ping pong balls bouncing for a solid 24 hours this weekend!